ICCT Korea (International Cruise Crew Training) is the authorized recruiting partner of Royal Caribbean Cruises Ltd. Guest Services Officer Park Hyeon-ju, and sports staff Park Chan-su, from Royal Caribbean International, share about how they found their dream jobs through ICCT. “I always dreamed about going overseas since my university days. While on a one-year internship in Guam, I got to know about the cruise industry through an American friend who had experience working as a crew member. To work on a huge ship, meet fellow crew members from around the world, and call at different ports every day was an irresistible challenge for me. ICCT helped me to understand better what I was applying for. The chance to network with active crew members helped me to better prepare myself for the job interview. Like how a ship with a motor cannot get to its destination without a navigator, I could not have come aboard Royal Caribbean Cruises without ICCT. 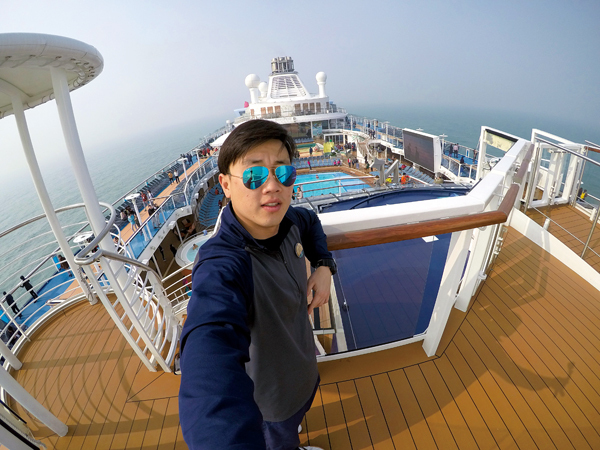 I work as a sports staff aboard Quantum of the Seas, ensuring guests’ safety while helping them have an amazing time enjoying the sports facilities like iFLY (indoor skydiving) and FlowRider (surf simulator). Every moment of my job is like a hobby because even during my days as a student studying sports I was always an active person who enjoyed doing sports during my free time. Park Chan-su, Sports staff, Quantum of the Seas.